Five iwi – Te Akitai, Ngāti Tamaoho, Ngāi Tai ki Tāmaki, Ngāti Maru and Ngāti Whatua – came together and agreed an approach to inform the project design. The iwi, together with a group of Māori specialists in stormwater, vegetation and cultural design (Malcolm Paterson, Charmaine Wiapo, Hana Maihi and Lucie Rutherfurd), then worked with the Boffa Miskell urban design and landscape architecture project team. “We spent a lot time together, walking the site and in workshops, to develop a shared understanding and set of ideas that could give form, convey meaning and show respect to the Māori features, stories and values of the site and surrounding landscape,” recalls Boffa Miskell landscape architect and Auckland Design Leader, Michael Hawes. Boffa Miskell developed sitewide design strategies under the three themes iwi had identified at their hui: maunga and the surrounding landscape, vegetation, and water. To demonstrate how the strategies could be implemented, conceptual ‘cultural footprint’ designs were also developed for key places such as the three main villages along Dominion Road, bus interchanges, side streets, parks and thresholds. 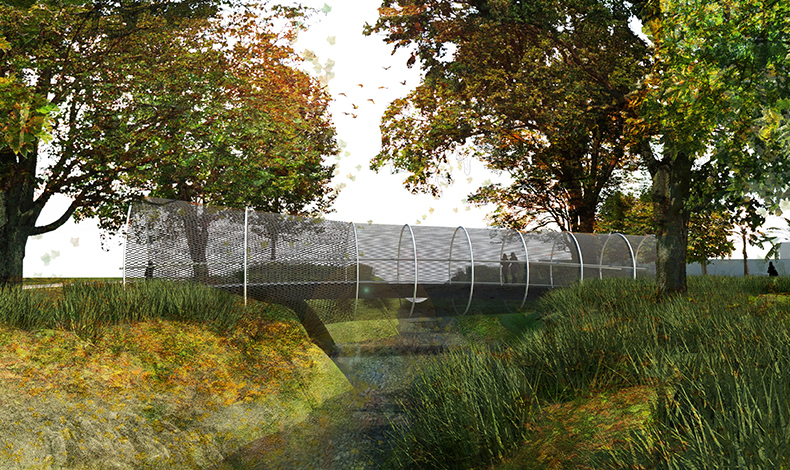 Traditional designs and stories are referenced in many design elements, and ideas for acknowledging and enhancing the underlying natural environment developed through proposed stream daylighting and widening, stormwater treatment projects, stream restoration and urban wetlands. Off-road initiatives connecting schools and reserves along the proposed cycleway that will parallel Dominion Road provide opportunities for community engagement in planting for food forests, stormwater quality, habitat and cultural harvest.